Dedicated by the old boys of Polack's House, Clifton College, to our dear classmate, Rabbi Sinclair, and to the memory of the six million. It was a dark, cold night in the Janowska concentration camp. Suddenly, a shout pierced the air: “Everyone out of the barracks immediately. Anyone remaining inside will be shot on the spot!” Pandemonium broke out. People pushed their way to the doors while screaming the names of friends and relatives. In a panic-stricken stampede, the prisoners ran in the direction of the big open field. In the middle, they saw two huge pits. Once more, the cold voice roared in the night: “You Jews need some exercise! You pitiful specimens! One by one you will jump across these pits. If you make it, you can go back to your beds, but if you fall into the crater, you will be machine-gunned to death before you can crawl out. I’m sure you’ll agree that this should make for an interesting evening’s entertainment . . .” Imitating the sound of a machine gun, the voice trailed off into the night followed by wild, coarse laughter. 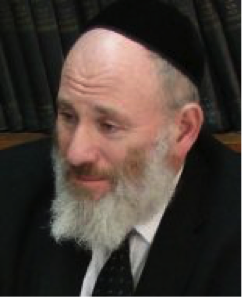 Rabbi Yaakov Asher Sinclair is a lecturer in Talmudic logic and philosophy at Ohr Somayach/Tanenbaum College in Jerusalem, and is a senior staff writer of the Torah internet publications Ohrnet and Torah Weekly, as well as Seasons of the Moon. 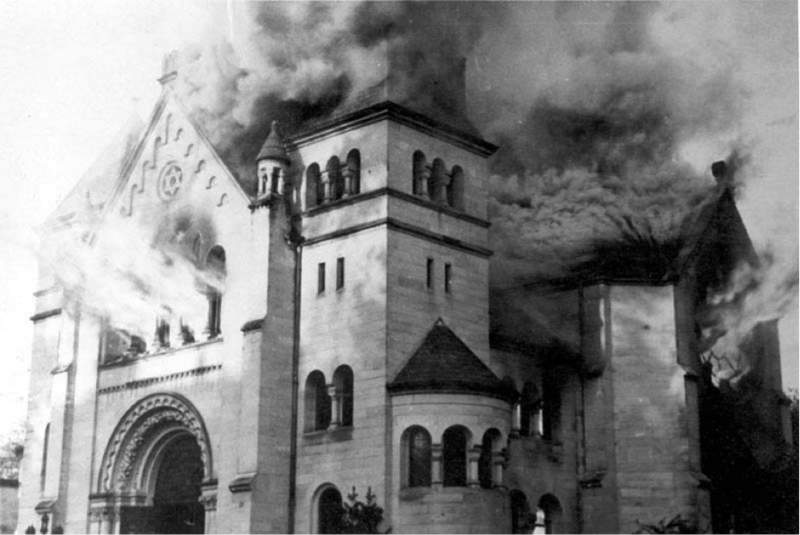 On 7 November 1938, Jews in Germany proper, Austria and Sudetenland, were attacked and Jewish property was vandalized, over 7,000 Jewish shops and more than 1,200 synagogues (roughly two-thirds of the synagogues in areas under German control) were damaged or destroyed. The death toll is assumed to be much higher than the official number of 91 dead. 30,000 were sent to concentration camps, including Dachau, Sachsenhausen, Buchenwald, and Oranienburg, where they were kept for several weeks, and released when they could either prove that they were about to emigrate in the near future, or transferred their property to the Nazis. German Jewry was collectively made responsible for restitution of the material damage of the pogroms, amounting to several hundred thousand Reichsmarks, and furthermore had to pay an “atonement tax” of more than a billion Reichsmarks. After these pogroms, Jewish emigration from Germany accelerated, while public Jewish life in Germany ceased to exist. 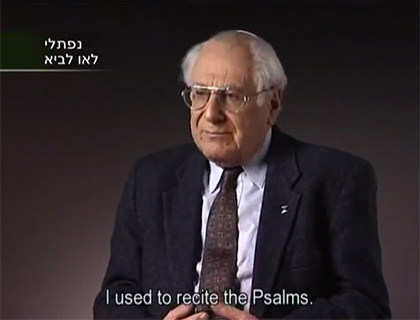 Short video about Naphtali Lau Lavie and his holding on to faith in the camp.